Hockey dreams took a major stride forward on Saturday as Ontario Minor Hockey Association players were chosen in the Ontario Hockey League’s Priority Selection, including four in the first round. The OMHA had 74 players selected from 21 teams led by the #RedHats winning Whitby Wildcats and the North Central Predators who each had seven chosen. The Guelph Jr. Gryphons and York-Simcoe Express both had six players drafted while the silver medalist Halton Hurricanes featured five. See a full list of all the OMHA players chosen at the bottom of the page and the the full draft results here. 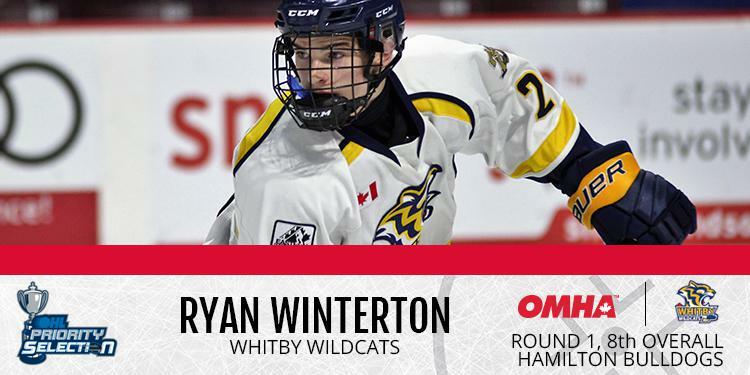 The draft class was led by Whitby's Ryan Winterton, chosen eighth overall by the Hamilton Bulldogs. Winterton is described as having high-end skill and skating really well with an excellent work ethic. He does a good job of finding quiet ice in the offensive zone and when the puck is on his stick, he has a great shot with a quick release. No matter what the score is, he plays every shift hard and always wants to make difference. Next off the board was Jon-Randall Avon, selected by his hometown Peterborough Petes. Avon was one of the most talented players in the OMHA this season. 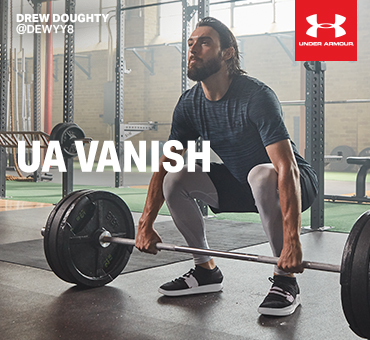 He has high-end skill and a hockey IQ that is off the charts. Excellent skater with breakaway speed, if he has open ice with the puck be prepared to scoop it out of the opposition’s net. Jacob Holmes of the York-Simcoe Express was chosen by the Sault Ste. Marie Greyhounds. An excellent all-around defenceman, Holmes is adept in many areas of the game and is weak in none. Blessed with good size and skating ability, on the defensive side of the puck he gives up very little and is hard to play against. He generates a lot of offence from the backend from his team and is effective on the powerplay and getting pucks on net. 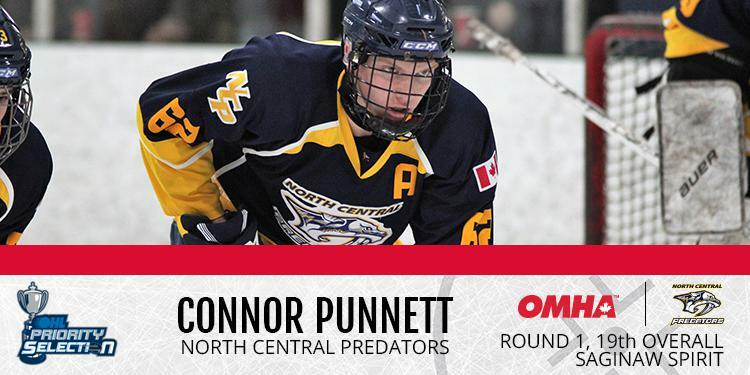 Rounding out the first round for the OMHA was Connor Punnett from the North Central Predators. Punnett puts his team first and does anything he can in order to get the win for his team. A big of an old school throwback, he plays physical and battles hard for pucks. He is going to be an even more of a force once he gets bigger and stronger.